Hopeful about the future, some eastern Kentucky residents have offered suggestions for principles, process and policies to guide future development in the region. Offered in an open letter to Gov. Steve Beshear and U.S. Rep Hal Rogers, the KFTC members acknowledged, “It won’t be easy, but we believe we can build a bright future here in the mountains. KFTC members welcomed Monday’s announcement by Governor Steve Beshear, U.S. Rep. Hal Rogers and others about a public process to gather and share ideas about ways to build a healthy, diverse economy in eastern Kentucky. As a follow-up to the 2013 Growing Appalachia conference, members of the Big Sandy chapter and the Rowan County chapter organized a Collecting Wild Edibles and Medicinals workshop on September 8th in Floyd County. 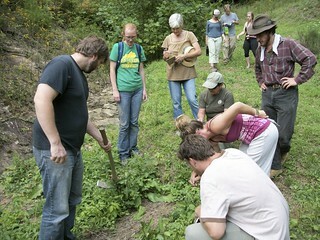 Led by Rowan County chapter member Cody Montgomery, attendees hiked the hills around Wilson Creek and learned about the species located in our area, how to locate their habitats, specific uses for herbs, and how to prepare certain plans for personal use. Over the past two months, members from around eastern Kentucky have gathered for workshops in Harlan and Floyd Counties, where they learned the basics of water testing, gained hands-on experience by testing water in nearby streams, and learned how our health is tied the health of our water. 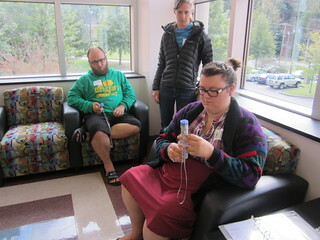 On Saturday June 22, from 10:30 am to 4:30 pm, KFTC will offer the second of four additional water testing workshops planned for this year as part of the ongoing Community Science and Public Health project. At this workshop, which will be held in Floyd County, we will learn how to do basic tests of local streams, learn how to get others in your community involved, and learn about other water quality issues we face in the mountains. 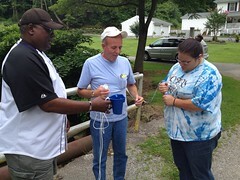 We will spend a portion of the day out in streams, practicing what we’ve learned and testing local water sources.